It’s a busy month and possibly made even busier if poor weather in March delayed any jobs and there’s catching up to be done. Between now and mid April is a good time to be sowing hardy annuals outdoors where they are to grow. Early in the month sow annual climbers and summer bedding can be bought as plug plants and grown on. Borders need weeding, cleaning up and planting started. Gladioli can be planted for succession, with a good mixture of colour for cut flowers. If you like alpines plant now and if space for a larger rockery is at a premium a small scree garden made with pea shingle, compost and coarse grit will get things started. Roses need feeding and mulching. Flowering shrubs can be pruned and grass seed can be sown if the ground is not sticky. Plan the climbers you want to grow. 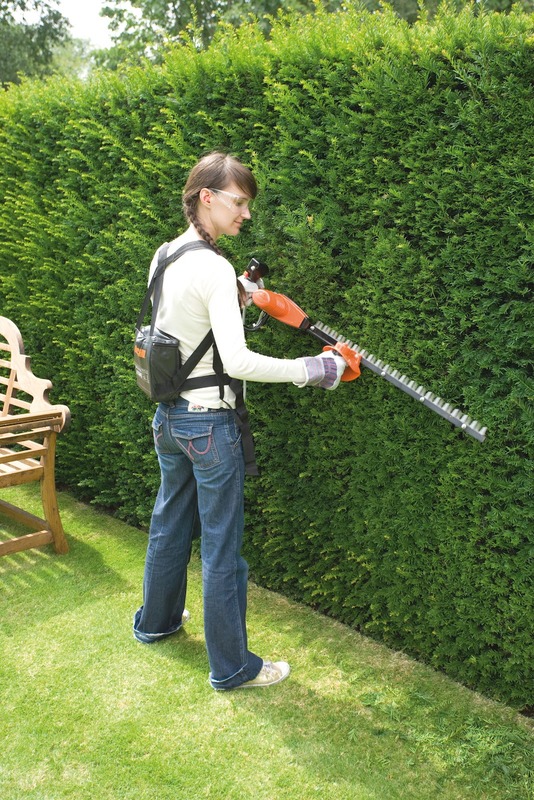 Plant evergreen shrubs but pay attention to north and east winds as the shrubs may need protection. Shrubs can be propagated by layering now. 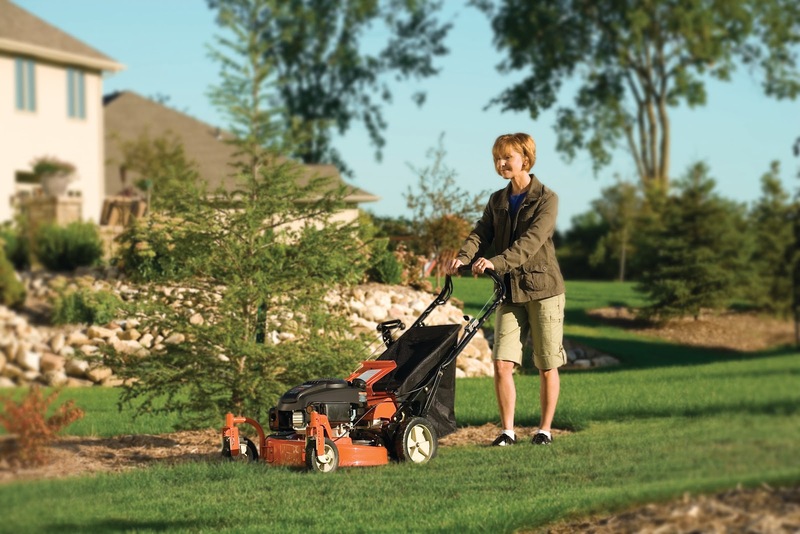 Mowing the lawn becomes more frequent so make sure your mower or garden tractor is ready for the work. Up until now, much has depended on the weather conditions as far as the lawn is concerned - so this month’s tips may repeat some of those given for March. Cutting the grass usually begins in earnest in April. Mow when the grass is dry. For the first mowing in spring, set the cutting height to the highest setting. Thereafter, gradually reduce the height of cut until the desired height is reached. For fine lawns, this will be 6-13mm (¼-½in). For ordinary ornamental lawns this will be 13-25mm (½-1in) in summer and up to 40mm (1.5in) in spring and autumn. You shouldn’t take more than a third off the height of the grass at any one mowing. 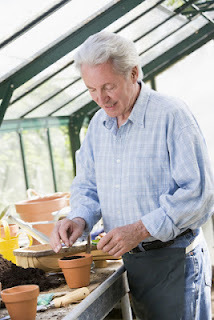 Make successional sowings to maintain an unbroken supply of mustard and cress, lettuce, spinach, broad beans and carrots. It’s a good time to create trenches for celery so they are well prepared and manured for planting in June. Prick off seedlings from March sowings and early in the month harden off plants in frames such as onion, cauliflower, leek, broad bean and pea. Lift celery and leek in the ground from last year and heel them in. Take advantage of the early spring lamb, here using double loins with a tasty treatment of pesto topping and served on a bed of new potatoes with seasonal vegetables from the garden. 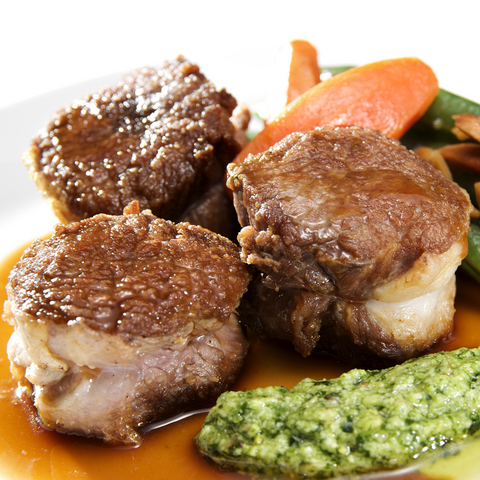 You can ask your butcher to bone, roll and tie the individual double loins of lamb. Preheat the oven to 200°C (400°F, gas mark 6).